How's your commute? Riders are asking questions of transit officials as the MTA NYC Transit President goes on a transit tour. Andy Byford has been holding community forums to discuss the improvement plan known as "Fast Forward." That focuses on modernizing the subway system's signals, purchasing more trains, redesigning the bus network, making the system more accessible, and empowering transit workers by changing the corporate culture. 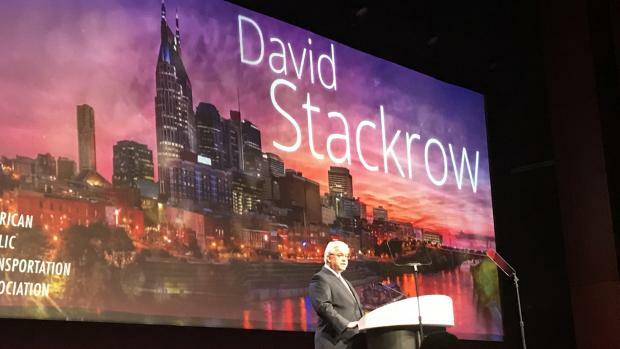 The Capital District Transportation Authority (CDTA) Board member and former Board Chairman, David M. Stackrow, Sr. has been elected as Chairman of the American Public Transportation Association (APTA) Board of Directors. APTA is the national trade association for bus, rail, paratransit and other organizations that move people throughout North America. The association also includes companies that build and supply the necessary components to help member organizations operate safely and efficiently. In total, there are more than 1500 members of APTA. Buses and light rail in the Twin Cities have become a homeless shelter of sorts, prompting Metro Transit to come up with a new initiative to deal with the issue. About 180 to 250 homeless people ride each night, Metro Transit Police Chief John Harrington said Tuesday. “For one, transit is safe. … It is a dry and a sanitary space,” the chief said. In a report to legislators Tuesday, Harrington also said more officers are on buses and light rail for security reasons and that service calls have gone up dramatically. However, he said more serious crimes have gone down compared to last year. “Transit is in fact one of the safest places in the Twin Cities area,” Harrington said during the House Transportation Committee finance meeting. Grand Valley Transit was awarded a $392,000 grant from the Federal Transit Administration on Tuesday to help it replace one of its buses. That grant was on top of another Federal Highway Administration grant the transit service received this week to help pay for its long-term planning, said Todd Hollenbeck, manager of Mesa County's Regional Transportation Planning Office. The service received an additional $330,000 to help draft several federally mandated planning efforts, including its 25-year multimodal transportation plan, a five-year transportation improvement plan, its two-year unified planning work program and a short- and long-term transit plan. Can you believe we're just three weeks away from the 2018 NYPTA Conferece?! Take professional development into your own hands by attending our robust educational sessions. Be sure to network with our business partners from all over the country, and earn the chance to win grand prizes! Don't miss the Public Transportation and The Mobility Movemement in Albany, NY October 23-25 at the Marriott.